I hope you are all doing well and have had a wonderful week so far! I thought today I would mix things up a little bit and bring you a brand new book review. 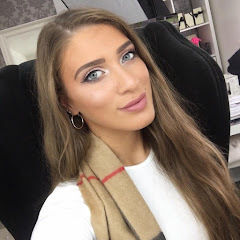 As you all know (as I sound like a broken record) one of my New Years resolutions was to write more diversely over on my blog and I love bringing you more lifestyle related posts. 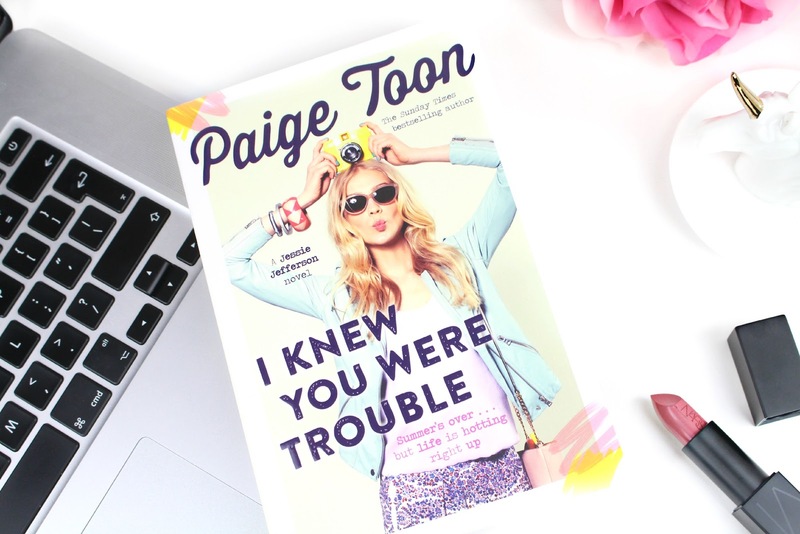 My current read has been ‘I knew You Were Trouble’ by Paige Toon and I couldn’t wait to share it with you all. I won’t be giving much away in terms of the story, as I would hate to spoil your experience if you are planning on or are currently reading the book yourself. This is my first read by Paige Toon and now I have become completely hooked. Paige Toon is a bestselling author of women’s fiction who has sold over around 250,000+ books to date. After doing some research it seems as if characters are linked throughout each of her novels and I think this is an extremely exciting and unique element to see. You will see that the main character’s father in ‘I Knew You Were Trouble’ originally had his own novel called ‘Johnny the Good’. A few other books within her line that I would love to read are ‘The Accidental Life of Jessie Jefferson’ and ‘The Sun in her Eyes’. So, I completely admit when I read the title of the book I started singing ‘I Knew You Were Trouble’ by Taylor Swift! In some ways this can be linked as Jessie Jefferson (the main character) has recently found out that her Dad is a global superstar. This is the second novel in the series; however, I could barely tell as the story flowed so well. The novel itself mainly focuses around Jessie and how she has adopted change to her life after finding out her Dad is in fact Johnny Jefferson – a super famous superstar. After a whirlwind summer in LA, with celebrity parties and a certain hot guitarist to keep her occupied, Jessie’s finding it hard to work out who she is and who she wants to be. She has been thrown into the public eye now and the press have caught wind of who she is which means Jessie’s life is pretty much never going to be the same again. Reading this novel really helps you see everything from Jessie’s perspective as essentially this has become a reality for her – you see the positives and the negatives that come with the fame and fortune. However, throughout the novel you see how Jessie is a down to earth ‘normal girl’ who stays true to herself and her relationship that she builds up with her father is so endearing. In a nutshell, Jessie is now split between two countries, two families, two sets of friends and now two boys! Yikes – that is a lot to take in! Also, I wanted to add a little note about the cover design of the novel itself. I think the illustrator did a great job of capturing elements of the story and encompassing them onto the cover. The pastel hues and fun photography elements really helped you get a feel for what you were about to read and it represented the young adult genre really well. I know they say to never judge a book by its cover, however, being in a marketing profession and writing a dissertation around semiotics I really couldn’t help but add a few notes around the cover. It is pretty cute right?! Overall, I found this a completely fun chick flick novel to sink myself into. Lately I have had no time at all to myself so I really enjoying cutting myself off from the world and diving into this story for a few evenings. I am super excited for part three of the Jessie Jefferson series to be released, however, I am not sure how I am going to cope as I want to read it as soon as possible! Trust me when I say that once you have read one story you will definitely want to read another. In the mean time I am going to take it back a few steps and get myself a copy of the first novel so I am completely up to date with everything that is going on in the world of Jessie Jefferson. One thing I would also like to add is, whilst getting so engrossed with the novel I found myself envisioning the story being created into a movie or television series of some kind. I don’t know about you but that would definitely be something I would watch for sure. I would definitely say this is a young adult chick flick, however, it was great to see Paige Toon also cover some serious themes surrounding change, family, friendship and so much more whilst still keep the writing style modern, fun and quite relatable. I hope you all enjoyed this review, I would love to hear your thoughts on the novel itself and if you have read or are planning on reading ‘I Knew You Were Trouble’. If you would like to hear more about Paige Toon you can watch a short video here or go to her official website here. Additionally, if you would like to read the book for yourself you can purchase a copy from Amazon here. Like always lovelies, if you have any questions, requests or if you just want a chat you can contact me via my social media or leave me a comment below. I love hearing from you all and I make sure to ready every single comment...they really make my day! Great post, I really want to purchase this book now- I have a long haul flight coming up soon and I think it would be the perfect read! I used to be such a bookworm, I really need to start picking it up again! Adding this to my 'to-read' list, and I just love the cover!